Perlier Honey Magnolia Bath Cream 16.9 fl. oz. Skinn Cosmetics OPA! Body Wash - 6.5 oz. Perlier Pink Grapefruit Shower Cream - 8.4 fl. oz. You take care of everyone but yourself. Take a few moments out of your hectic day, draw up a bath and envelope yourself in this luxurious and deliciously-scented cream. It's infused with the essence of honey and regal magnolia flowers, so it's a fragrant sensory experience as well as a moisturizing cleanser for dry body skin. Self care never smelled so sweet! Ingredients: INGREDIENTS: AQUA (WATER), SODIUM LAURETH SULFATE, COCAMIDOPROPYL BETAINE, SODIUM CHLORIDE, PARFUM (FRAGRANCE), MEL (HONEY), GLYCOL DISTEARATE, COCO-GLUCOSIDE, GLYCERYL OLEATE, POLYQUATERNIUM-7, COCAMIDE MEA, MAGNOLIA LILIFLORA FLOWER EXTRACT, SODIUM BENZOATE, PROPYLENE GLYCOL, LAURETH-10, TETRASODIUM EDTA, CITRIC ACID, LIMONENE, HEXYL CINNAMAL, LINALOOL, CI 15985 (YELLOW 6), CI 19140 (YELLOW 5). I love this fragrance so much that I've bought it three times. I guess that speaks for itself how much I love it and all the Perlier products I've bought. 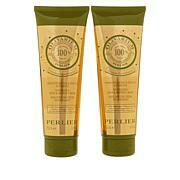 I love the the smell and it is so soft on your skin.I love perlier products. They need too make a bigger size than 16.9 fl. oz.. just a tad bigger. 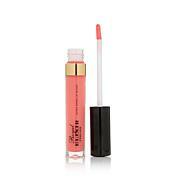 This product has a lovely light scent and a smooth feel on the skin. Don't be afraid to try it. This beautiful magnolia scent has moved to the top of my list of favorites. Thanx my god and goddess.